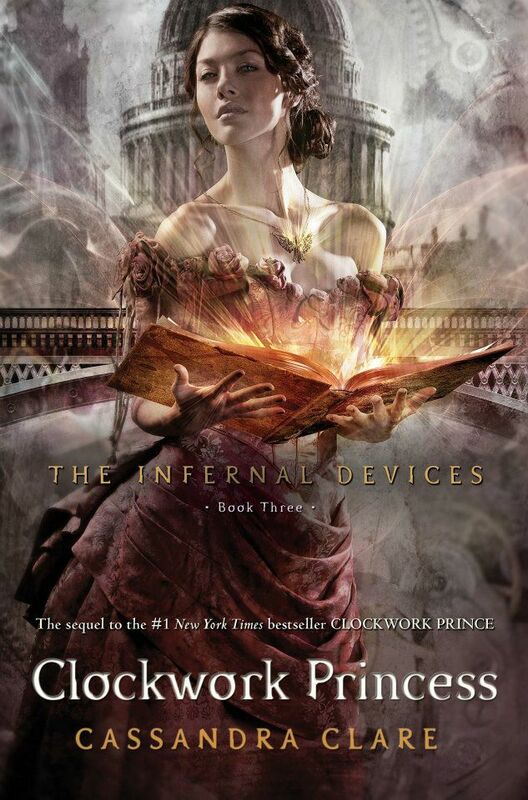 Over the summer, I finished reading Clockwork Princess by Cassandra Clare from the Infernal Devices series. So here's the review! Here you go. Enjoy! 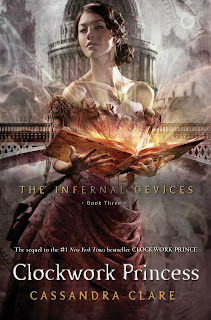 Clockwork Princess was an amazing ending to the Infernal Devices series. If you guys decide to read this, I promise you there will be tears. Honestly the best description for this book is PAIN. It's such an amazing book but it's so sad. Will.. I love you sweetie. :') I love it when Magnus catches you and Tessa. Hahaha that was hilarious! Will is such an amazing shadowhunter. He's my favorite. Him and Jem. Tessa. You amazing dimwitted girl. Don't lose them so easily. Hold onto them with your dear life will you? Please?! Magnus is just fabulous. Like in every other book he's been in. He's so cool and I'm glad Cassie created him. I can't imagine the shadow hunter world not having him there. It would just be plain weird. I'm glad Casssie wrote this series. Talking about Will, Camille, Woolsey Scott, and other characters. It fits in with the Mortal Instruments so well. It just ties everything together perfectly. Cassie is so amazing at crafting her stories. It's so intricate and twisted. But that's what makes it so amazing. I love how it explains brother Zachariah too. It's so beautiful. :') So yeah 5/5. I know I keep giving things 5/5 but I love them. Did this book meet my high expectations? Yes. Yes it did. Would I recommend this book and to who? I'd recommend it to everyone who has read Clockwork Angel or has begun reading it. I'd also recommend this series to those who enjoy reading things similar to the Mortal Instruments.